Disclosure: This post is sponsored by Allied Contigo. All opinions and recipe are 100% my own. I’ve lived in City Terrace / East Los Angeles my whole life and never have I seen advertisement for any form of art/entertainment hanging from street banners the way you do in areas west of downtown. For the first time ever Hollywood Bowl has taken the lead in advertising the arts in a predominantly latino neighborhood, and I couldn’t be happier about it. They are opening up their arms to my people and letting us know they are not only there but they are inviting us to come hear music, or watch dance and film. I heard their call and I’ll happily respond by attending. 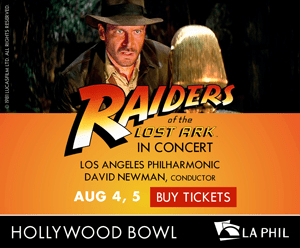 This coming weekend August 4th and 5th The Hollywood Bowl will be screening Raiders Of The Lost Ark, and you don’t want to miss it!!!! The film that gave the world one of our most iconic movie heroes ever, Indiana Jones (Harrison Ford)! You’ll be able to relive the magic of this swishbuckling adventure as one of John Williams’ best-loved film scores is performed live, while the thrilling film is shown in HD on the Bowl’s big screen. Basically every seat is a great seat with the perfect view. 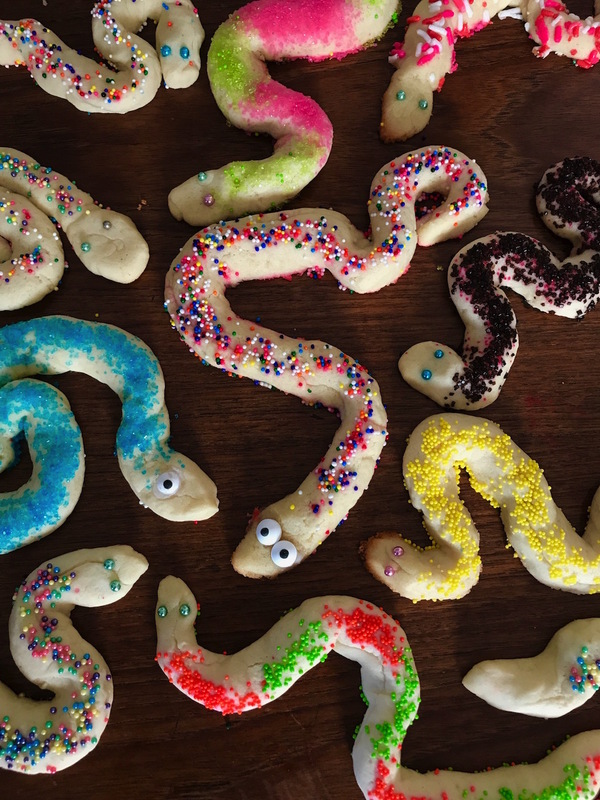 I’m so excitied about it… My little family will be attending one of the screenings and I will be making Indiana Jones Snake Cookies to take with us to the bowl. 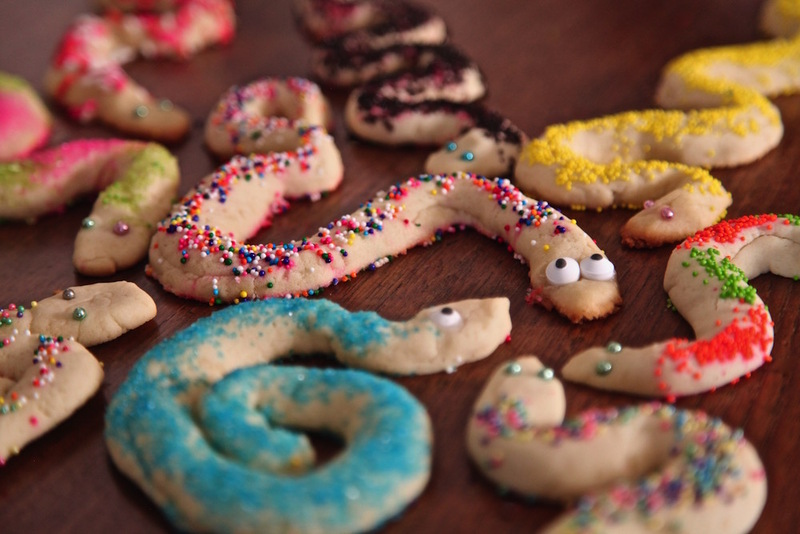 Below find my festive recipe and how to make these delicious snake cookies incase you’re thinking of celebrating Raiders Of The Lost Ark too. 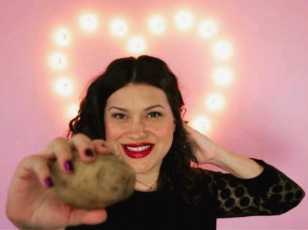 GET YOUR TICKETS FOR THE SCREENING HERE! Add confectioners sugar, flour, baking powder, and salt to a food processor. Pulse a few times to combine dry mixture. Add in butter pieces, and pulse until mixture combines and becomes crumbly. Remove mixture from food processor and place in a stand-up mixer. In a separate bowl, whisk egg and whipping cream together. Pour egg/cream mixture into flour /butter mixture. Mix until the mixtures combine and form a ball. Cover dough and refrigerate for a minimum of an hour or over night. Divide dough into 3 parts. Roll out on a lightly floured surface. Cut the edges away to have straight lines to work with. 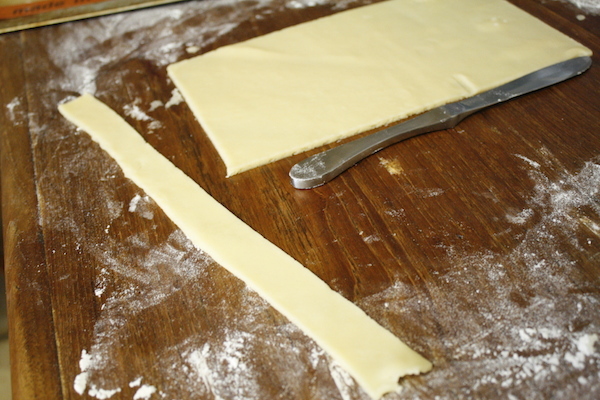 Then cut 1/4 inch strips of dough with a butter knife. Pinch the strip together to make it look like a thick string. Place on a baking mat lined cookie sheet. 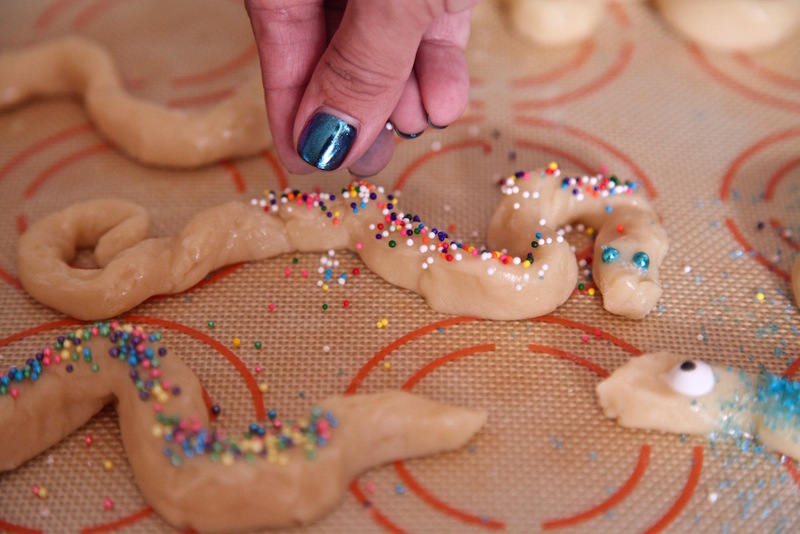 Shape cookie dough strip into a snake. 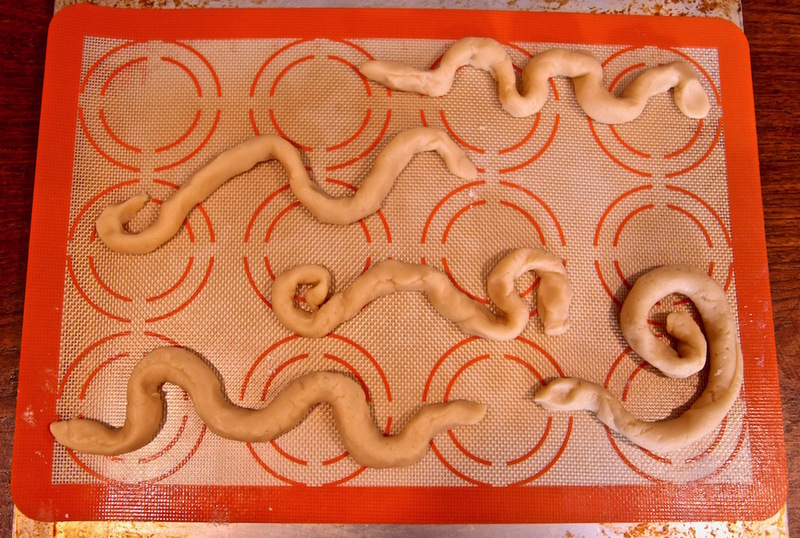 Brush each snake with melted butter using a pastry brush. Sprinkle the tops with sugar color or other decorative candy . Bake for 11 minutes. Allow to cool on baking sheet for 5 minutes then place on a serving tray. Follow the hashtags for all #HollywoodBowl #LAPhil updates!